I tried a couple of different ideas for the NAIL Easter prompt but they didn’t turn out as well as I wanted. I really liked my recent dotticures as I finally figured out the best way to do them. Similar to the blobbicure I did not wait for the base polish to completely dry. 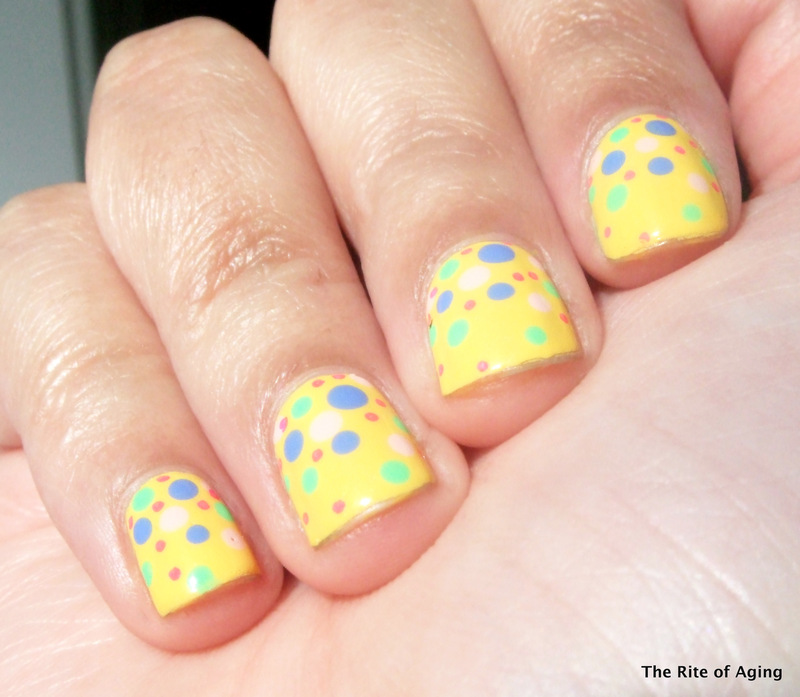 As long as I did not use a lot of polish for the dots, they turned out completely circular! Yay! I started with 2 coats of Zoya Pippa as my base. I used a variety of dotting tools, Milani Power Periwinkle, Color Club Twiggie and Sally Hansen Insta-Dri Petal Pusher. I also used a Sally Hansen pink nail art pen for the smallest dots. Love your dotticure skill! I wished I can do something so neat some day!